Dr. Kathy Magliato is one of the few female heart surgeons practicing in the world today. She is also a member of an even more exclusive group—those surgeons specially trained to perform heart transplants. Healing Hearts is the story of the making of a surgeon who is also a wife and mother. Dr. Magliato takes us into her highly demanding, physically intense, male-dominated world and shows us how she masterfully works to save patients’ lives every day. In her memoir, we come to know many of those patients whose lives Dr. Magliato has touched: a baby born with a hole in her heart, a ninety-four-year-old woman with a lethal tear in her aorta, and a thirty-five-year-old movie producer who saves her own life by recognizing the symptoms of a heart attack. Along the way, Dr. Magliato sheds light on the too often unrecognized symptoms of a heart attack and cardiovascular disease—the number one killer of women in America—and the specific measures that can be taken to prevent it. As we begin to see what it takes for Dr. Magliato to heal hearts day after day, we come to understand a more human side of the medical profession. Dr. Magliato celebrates with her patients when they overcome their disease and personally mourns when they die as a result of it. She understands deeply the pain and suffering that heart disease can wreak on patients as well as on their families. Healing Hearts is not only her story, it is also the story of everyone affected by heart disease—roughly one in three Americans. Dr. Magliato acquaints us with the day-to-day realities of her life and work. We see her skillfully juggle a full and happy family life as the wife of a liver transplant surgeon (they have bedside tables cluttered with pagers and cell phones that ring throughout the night) and the mother of two young boys. We also see the toll that being a female pioneer can take, as well as the rewards of such demanding work. She, like many working women, is striving to have it all. 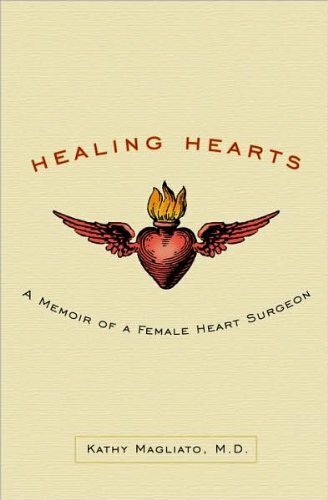 Dr. Magliato’s powerful and moving memoir demonstrates her passion and commitment to her family, her patients, and her profession and reveals that, at the end of a long day, it’s our hearts that matter most. 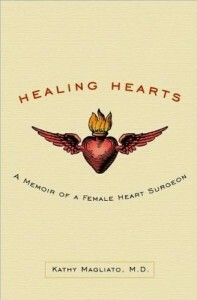 Please note: This is the hardcover version of Heart Matters: A Memoir of a Female Heart Surgeon. Get your personalized copy signed by Dr. Magliato for Only $30! A fascinating look at the life-or-death world of cardiothoracic surgery. Magliato belies the myth of surgeons as distant, cocky, robotic – and male. Fast-paced, smooth writing that never bores. Magliato is a courageous, successful doctor with admirable goals and an impressive resume. Bold and educative. This is an exciting read, following the transformation of a young girl’s dreams into the reality of living her passion for the heart as one who daily touches and cuts into that amazing organ to hopefully save lives.